Robert J. Kapelke - Mediator & Arbitrator based in Denver, Colorado. Please click your preferred available date to submit a request. Your Appointment Form will be sent to Robert's assistant, Ellen Mauro. After a two year stint as an associate at the Law Office of Dayton Denious, Bob Kapelke began a long and distinguished career at the Denver law firm of Gorsuch, Kirgis, Campbell, Walker & Grover. He eventually became a partner and went on to become Chair of that firm s Commercial Litigation Section. 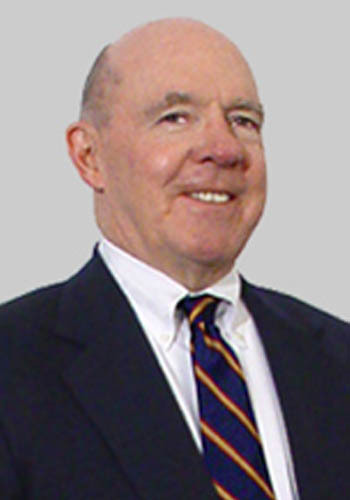 While in private practice, Bob Kapelke was active in alternative dispute resolution forums including serving with the American Arbitration Association as a panelist and serving as a member of the Denver panel of arbitrators for the Center for Public Resources headquartered in New York. During his years of practice Kapelke s principal area of legal emphasis was commercial litigation including oil and gas, antitrust, real estate, corporate, securities and contract disputes. He also was involved extensively in probate and trust litigation. Bob Kapelke served for more than ten years as a judge on the Colorado Court of Appeals, appointed to the bench in 1994. Since 2005, Bob has served exclusively as a neutral with with JAG, Inc., mediating and arbitrating a wide range of civil and commercial cases. Mr. Kapelke received a Bachelor of Arts degree in 1963 and a Juris Doctor degree from the University of Colorado in 1966. He served as a law clerk for the Hon. Alfred A. Araj, Chief Judge of the United States District Court in Denver until 1967. In 1969 he received his Master of Comparative Law degree from the University of Chicago s School of Law. Active in the community, Mr. Kapelke has served as the president of the Denver Rotary Club, as a member of the Board of Directors of the Colorado Judicial Institute, as president of the University Club, as past chair of the University of Colorado Law Alumni Board, and as past chair of the George W. Clayton College for Boys. He has also received a Lifetime Achievement Award from the Law Club of Denver. Kapelke is a Fellow in the American College of Trial Lawyers, a past President of the Denver Bar Association, a past Member of the House of Delegates of the American Bar Association and a past Member of the Board of Governors of the Colorado Bar Association. Kapelke was the 2001 recipient of the Award of Merit of the Denver Bar Association and the 2005 recipient of the Award of Merit of the Colorado Bar Association. IN-STATE: $390 per hr, OUT OF STATE: $410 per hr.